Weaver's House Our records show that this inn is closed. Greenwoods Gate B&B Inn Our records show that this inn is closed. Angel Hill B&B Our records show that this inn is closed. Covered Bridge B&B Our records show that this inn is closed. Norfolk bed and breakfast travel guide for romantic, historic and adventure b&b's. 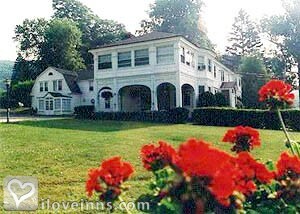 Browse through the iLoveInns.com database of Norfolk, Connecticut bed and breakfasts and country inns to find detailed listings that include room rates, special deals and area activities. You can click on the 'check rates and availability' button to contact the innkeeper. From the moment you enter Norfolk, Connecticut with its distinctive village green, bell towers and picture-postcard landscapes, you'll feel like you've turned back the pages of time. Pristine gardens, historic homes and winding roads welcome you. With only 1600 permanent residents, Norfolk is the quintessential New England village. The town green, historical society and architecturally beautiful library are at its center. Norfolk's allure beckons in every season. With over 70% of its land forever preserved, 3 state parks and miles of hiking and cross country ski trails allow for an invigorating day outdoors! For the culturally minded experience the 100+ year old tradition of Norfolk's Music Shed and delight in the sounds of Yale's Summer Chamber Music Festival. The latest addition to Norfolk is the newly restored Infinity Hall with live music and entertainment along with restaurant and bar. By Mountain View Inn. Like the other towns in Litchfield, picturesque Norfolk is nestled at the foot of the Berkshire Mountains. Norfolk is a quaint town, retaining most of its characteristics and aura since its inception in 1758. You will find Norfolk a very relaxing town composed of miles of hiking trails. The Yale School of Music and Art and the Norfolk Chamber Music Festival are just two of the famous events that happen in Norfolk during summer. Blessed with a museum that shows Norfolk's rich history, its own curling club, and a golf course, the town includes historic Norfolk bed and breakfast inns. The three state parks located in Norfolk are the Haystack Mountain State Park that has a stone tower at the top of the mountain, the Dennis Hill State Park where you can find what is left of a posh summer pavilion, and the great Campbell Falls State Park which boasts of a 100-foot natural waterfall. By Mountain View Inn.